Dean and Sammy and Mary, oh my! 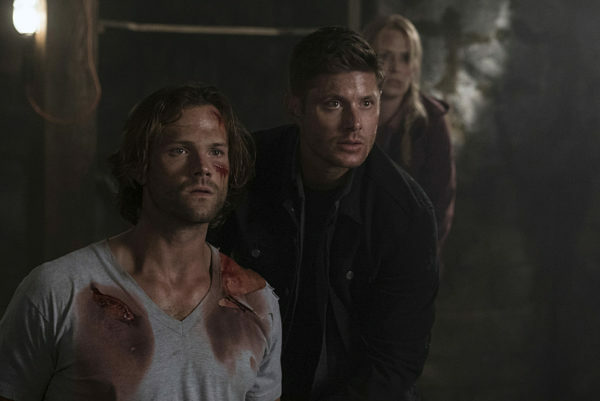 I am loving the evolving Winchesters’ reunions and their attempts at finding a balance between who they are now versus the memories from long ago. And with the amount of issues that seem to always follow the family, they are in for a load of adventures to come. The beginning, with Sam in bed with Toni, was good visuals but we all knew it was a hallucination. Poor Sammy’s gone through so many of those mindgames in his life, and the hits just keep coming. And he’s soon to be faced with another mindgame when his dead mother shows up to rescue him. I liked that she was wary of what that reunion might be like. She was responsible for their life of tragedy, she let the Yellow-Eyed Demon in and allowed Sam to be tainted. Can he forgive her for that? Of course he can, because his mother’s back! 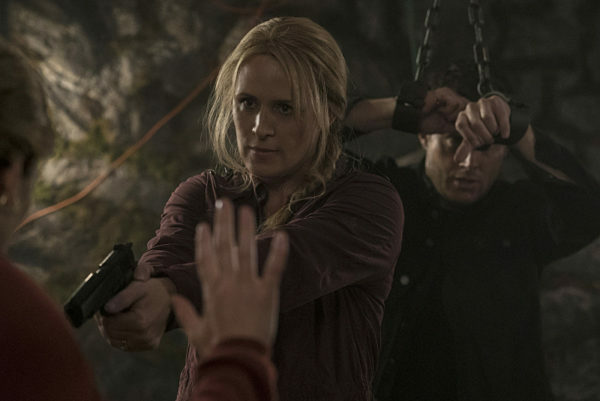 The dynamic between Dean and Mary is ever-evolving, but I like that they’re having to find their way around one another. These are two people who knew each other when they were in different places in their lives. Dean is no longer the four-year-old with bright eyes and all the possibilities in front of him. And Mary is no longer the idealized mother figure who can do no wrong. They are hunters, through and through, and more alike than they might realize. I did adore when Mary broke out the “good talk” just like Dean always does. Mary’s also got to learn who John became, because he was not the man she left behind. Sure, when their life was demon-free he might have been a great father, but once Mary passed away things became more complicated. He tried to be a good father, but he was a soldier first and made his kids follow that lead. Having Sammy provide John’s journal to Mary can help fill in the blanks of all the things she missed in life. Not sure that John’s journal will reveal much in the way of their kids’ first kisses or first dates, but it will help Mary understand who her family is now. And maybe her kids can learn who their mother was, too. In theory they know she was a hunter, but seeing her in action can help them understand that better. She’s a mighty fine hunter and Dean will have to learn that she can take care of herself, even if he wants to protect her at all times. The Winchesters don’t even know about the whole Lucifer situation, but there is rich potential there, too. Rowena and Crowley working together, then like clockwork the betrayal that is their habit. 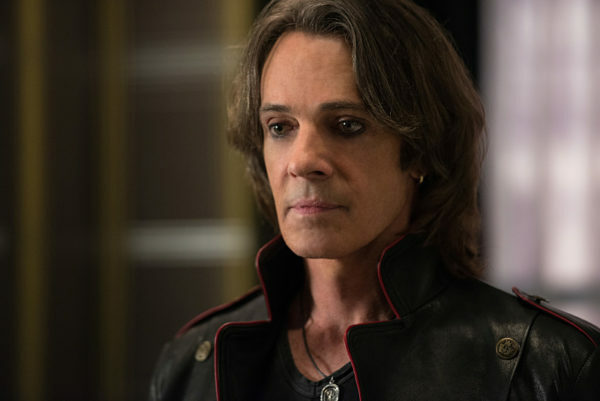 And we have Lucifer in a brand new Rick Springfield vessel. Lucifer always knows how to get at the heart of a grieving man in order to get permission to use them. And Vince has all kinds of possibilities of pure reveling, based on what he’s done thus far. The melting of his face with the acid was great visual effects, as was him spreading his wings, but the fact he can heal himself and put sheer terror into Crowley means he’s going to be jazzed up for a rematch. And with Rowena as a prisoner he’s got great assets at his disposal. And the Men of Letters of London aren’t through with the Winchesters yet, either. We got a tease of Mr. Ketch, but you can already tell he’s going to be bad news. He’s a cleaner, with no morals it seems. Get a job, finish the job, the end. I hope Dean, Sam, and Mary can take him on without getting into more trouble, though I’m sure that’s a given. Going to be interesting to see how it all transpires! Family love, family dynamics, family strength. Go Winchesters!